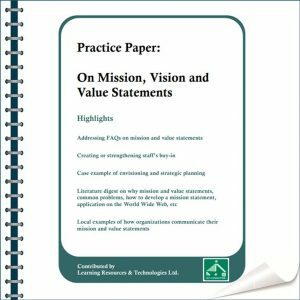 Practice Paper: On Vision-Mission-Values | LRT Consulting - Learning Resources & Technologies Ltd. 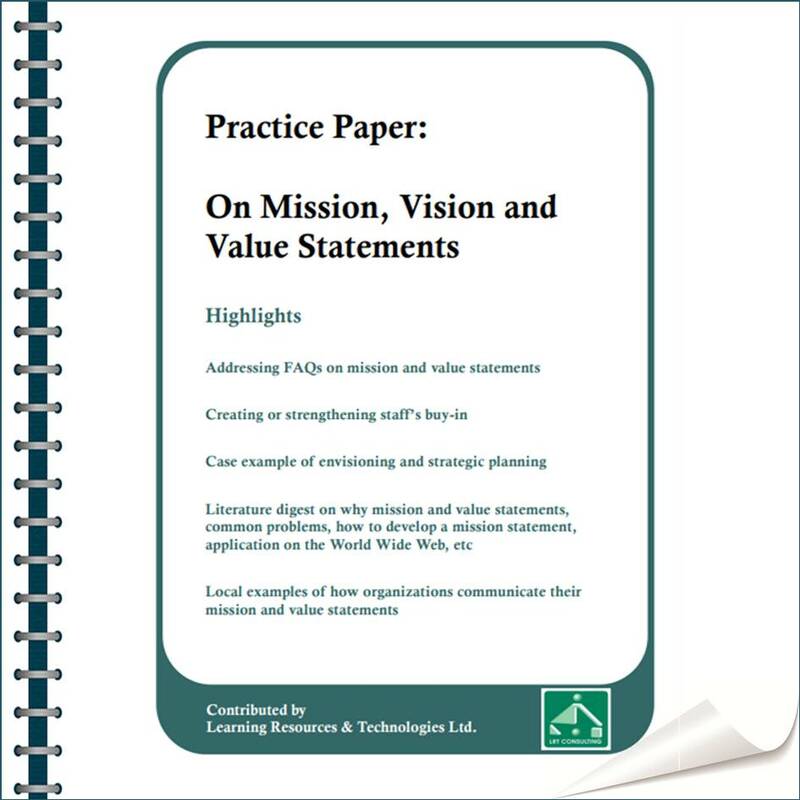 Addressing FAQs on mission and value statements. Creating or strengthening staff’s buy-in. Case example of envisioning and strategic planning. Literature digest on why mission and value statements, common problems, how to develop a mission statement, application on the World Wide Web, etc. Local examples of how organizations communicate their mission and value statements.